SPECIAL NAIS MEMBERS ONLY PRICING $74.95. Your Computer Or Laptop Becomes Your Digital Audio Recorder! Instant Caller ID To Name And Address Data! Instant Dialed Number To Name And Address Data! No Limits On Recording Time! Unlimited Capacity- Only limited to your hard drive space which gives you months, if not years of recording time. Internet Caller ID Instant Lookup-Just click on any recording for name/address info! Connects To Your Laptop For On-The-Go Functions. No Power Source Needed-Powers Itself From Your Computer! Silently And Automatically Records All Phone Calls. Append a Professional-Sounding Announcement Of The recording time, Date, And Your Agency name. Automatically Decode ANI (Caller ID) To Trace Caller. Reverse Lookup Displays Street Address Information. Automatically Records And Decodes Outgoing Dialed Numbers And Gives You Instant Name, Street Address Data On The Dialed Number. Database Of Area Codes And Prefixes Provides Instant demographic Information For Calls Made from Out Of Area. Easy To Use -But Powerful Recording Control Software! Evidence-Gathering Digital Lab On Your Computer! 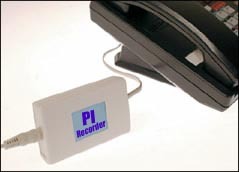 Aside from fully automatic telephone recording The PI Recorder can record from voice mail systems, handsets, radios and microphones. Connect to an outside line and all extensions are recorded. You can turn your laptop into an audio evidence gathering recording machine. Audio recordings are perfect. Multiple copies of recordings can be made without degradation. Recording to a hard drive is reliable and flexible. Like to know who's calling? Display the name and address of the caller with Caller-ID and call tracing. Did you miss something important? Maybe a an address or order information? Replay calls instantly, even while recording. Find calls quickly. Digital files can be copied, emailed, encrypted, and backed up on any computer. Select a local drive or a network server for storage. Save files in a shared directory for easy access. Use Outlook to keep complete call records. 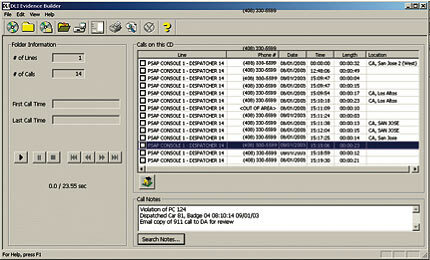 Caller-IDs pop contact information and notes automatically! Search for calls quickly. Sort and print call lists. Find the caller's street address via the internet. Our sophisticated Call Analysis Software is included free! 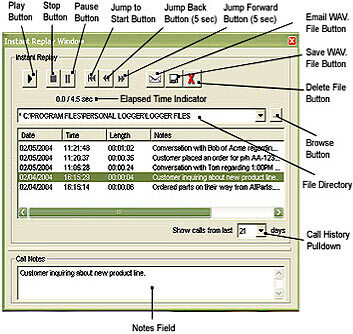 You can also obtain the optional Truth detection/deception software option which gives you the ability to conduct truth and deception detection on every recorded telephone call. 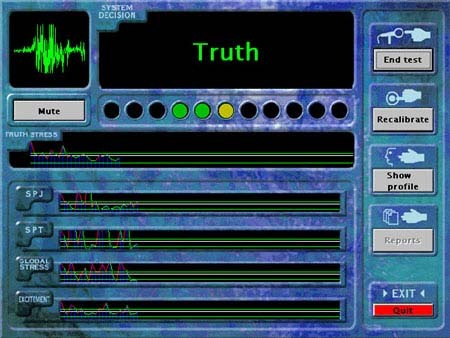 Click for more information on The Truth Detection Software Option. Copyright: 2006, Thomas Investigative Publications, Inc.